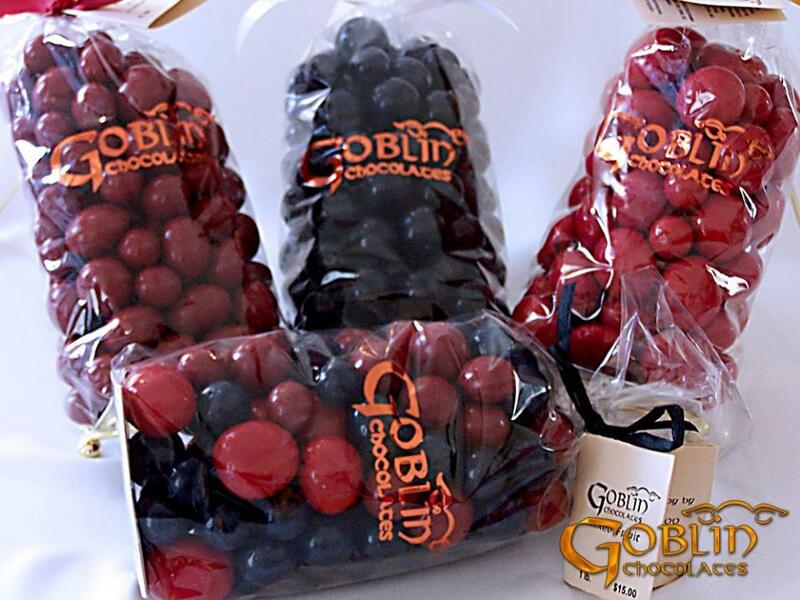 The Goblin is currently away from the forest researching new confectionery creations. The Diamond Perk Retro Coffee Shop: on the Diamond, 28 Railroad St. between S. St Marys. and S. St Michael St. 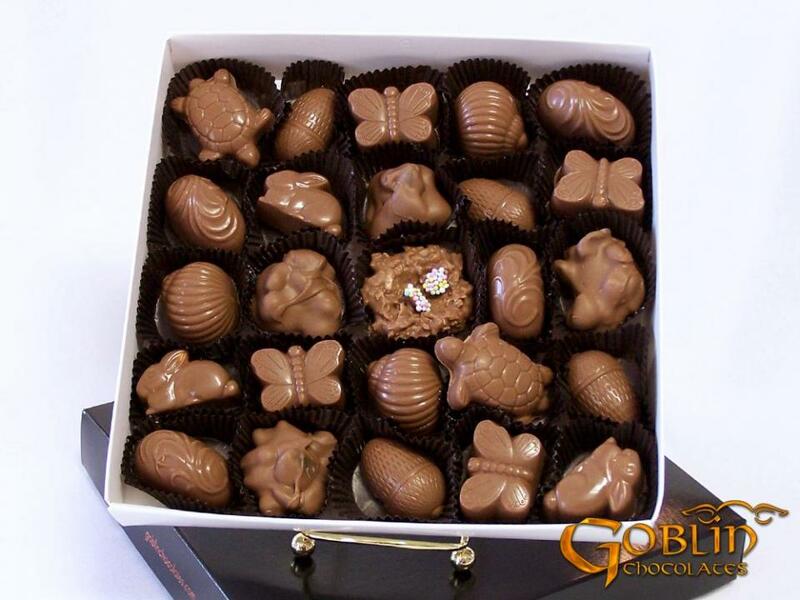 The Benedictine Gift Shop: corner of Maurus and Church St.
Goetz's Flowers: can deliver chocolates with your flower order - 91 Erie Ave.
Our classic milk or dark chocolate English toffee infused with toasted almonds. 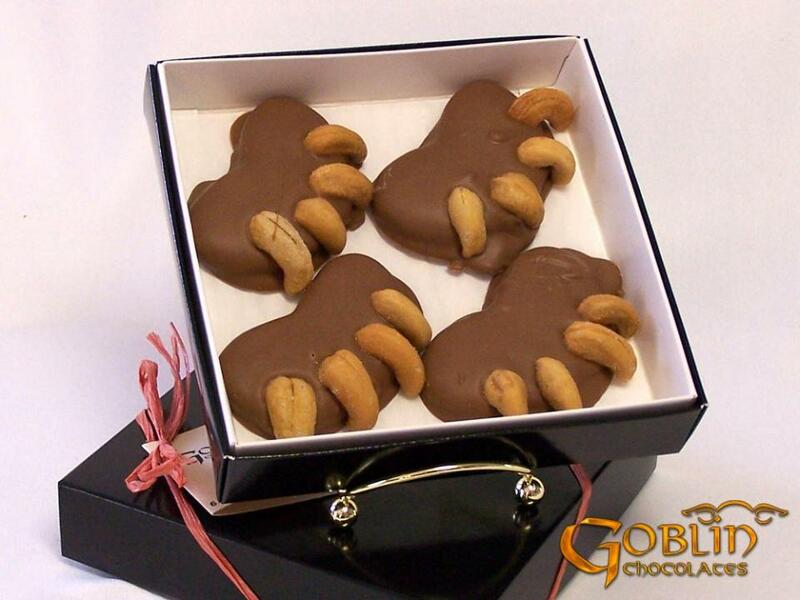 An artful arrangement of milk or dark chocolate covered cashews, almonds, peanuts, and walnuts. 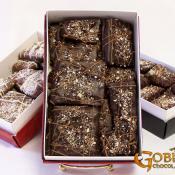 A colorful confection of dried blueberries, cherries, or cranberries coated in rich milk chocolate. 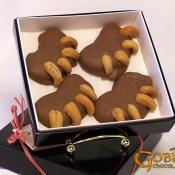 A caramel and cashew pad, wrapped in milk or dark chocolate, completed with cashew claws. 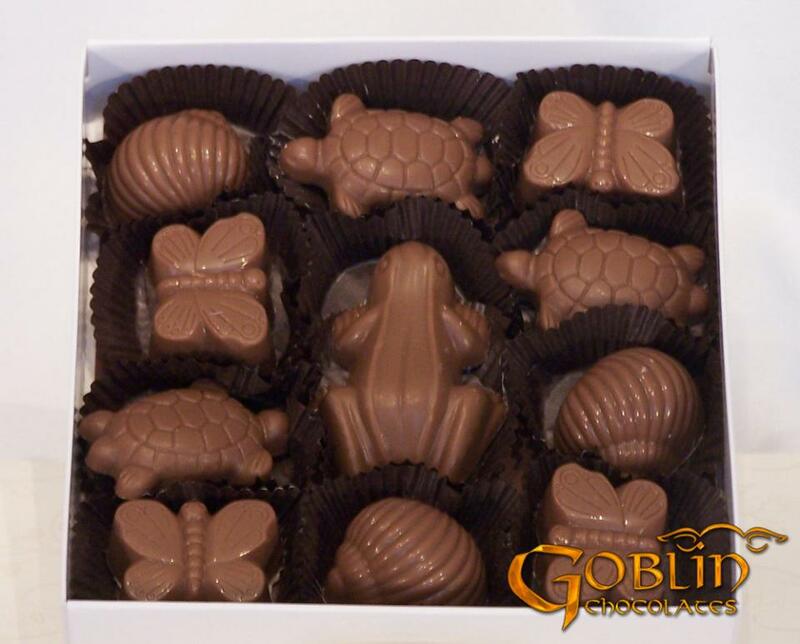 Caramel, Pecans with Milk Chocolate and a wandering Turtle. Whimsical coconut hedgehogs nestled in a bed of coconut clusters. 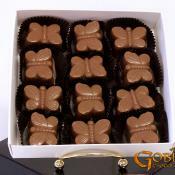 Deliciously smooth peanut butter wrapped within our charming milk or dark chocolate butterfly. 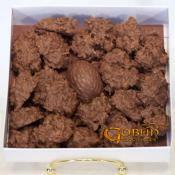 Coconut Gems in dark or milk chocolate. 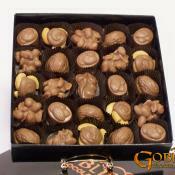 Sea Salted Caramels and a Gooey Caramel Snail available in milk chocolate. Disclaimer: No actual Snails were harmed or used in the making of this product. 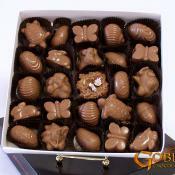 Gooey caramel snails, peanut butterflies, chocolate turtles and a frog. 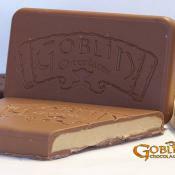 One pound bar of dark, milk, or white chocolate. . 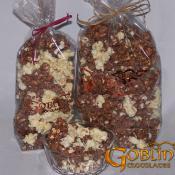 The Goblins milk or dark chocolate Almond Bark. 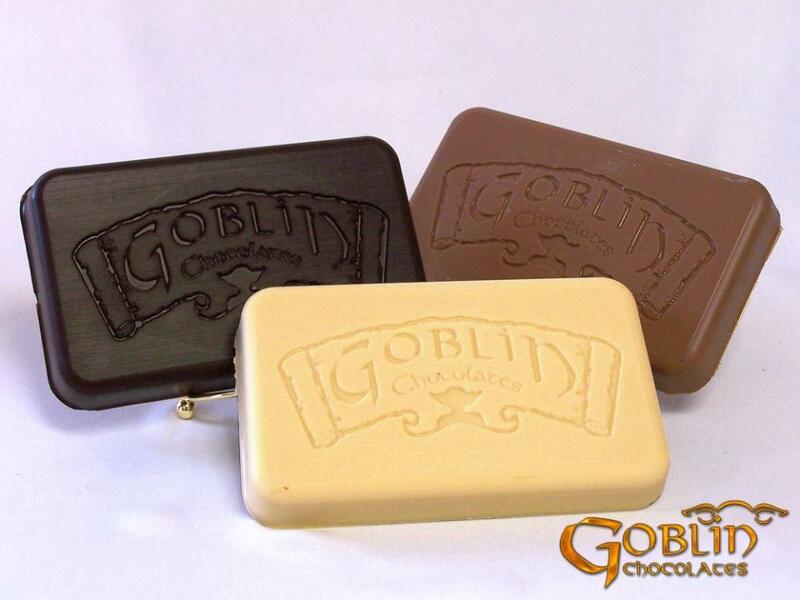 A savory sampling of the Goblin's favorites available in milk or dark chocolate. 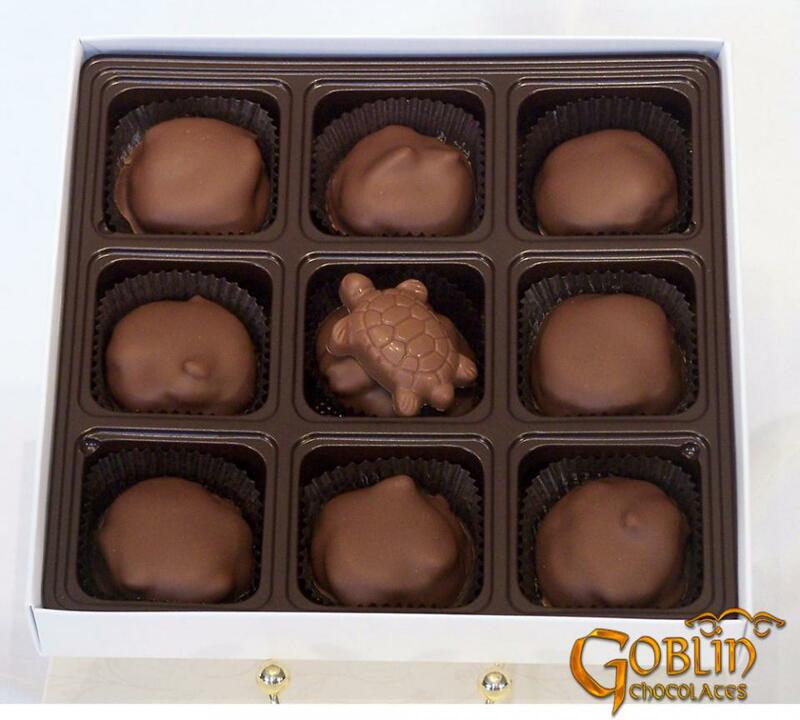 The classic snack artistically enhanced by our chocolatiers. A perfect combination of sweet and salty! 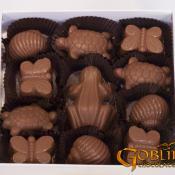 Goblin Chocolates honors the return of Springtime with this latest assortment box available in milk or dark chocolate. 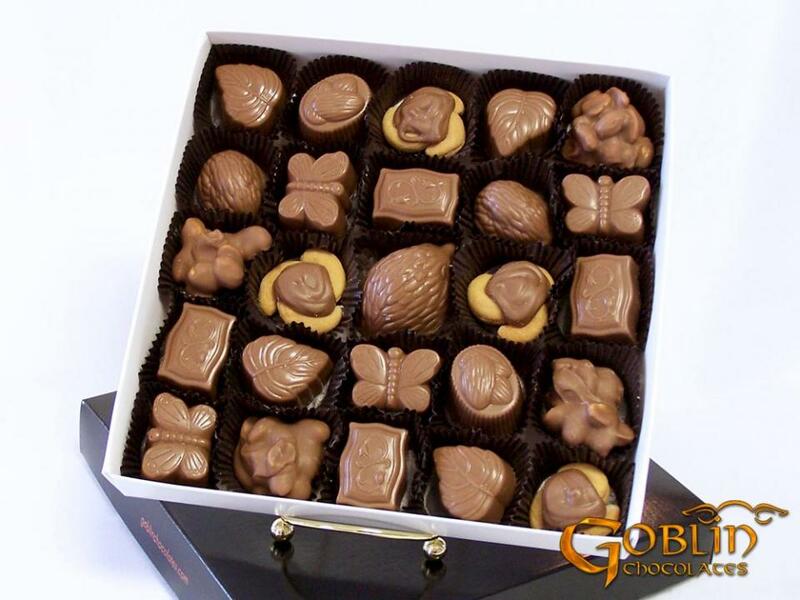 —including, Coconut Gems, Caramel Pecans, Crisp Rice Mushrooms, Gooey Caramel Snails, Peanut Butterflies, English Toffee Brickle Leaves, Carmel Bricks and Nestling Chocolate Bunnies. 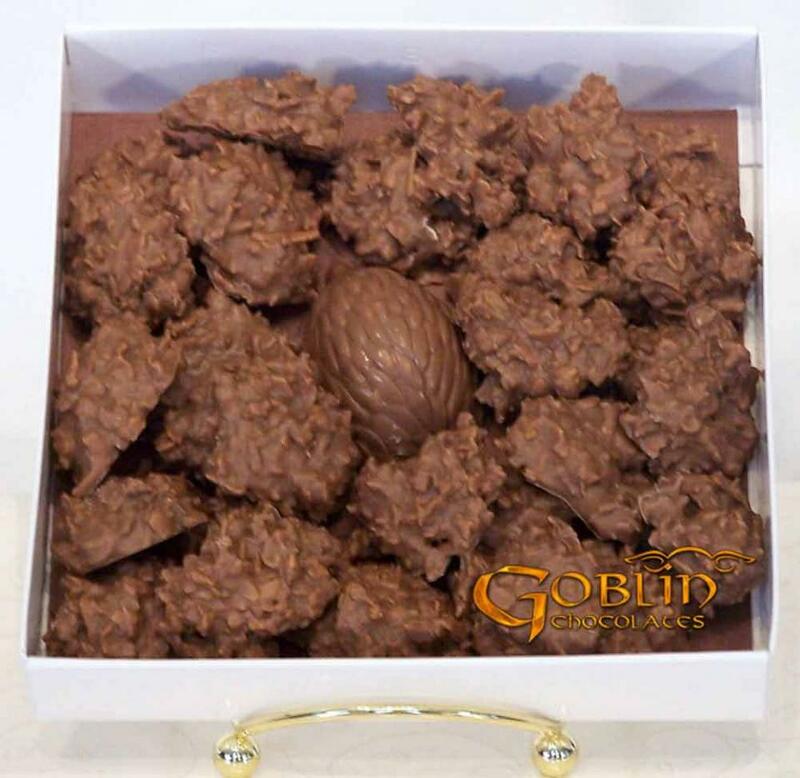 1 - Since the Goblin creates and packages your chocolates when you order them, all orders received after dawn (6 am EST) will be attended to the following business day. 2 - To determine the most satisfactory shipping arrangements the shipping trolls sent chocolaty surprises to friends from bluff to glen. 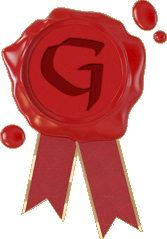 With thanks to their research your order will be sent Priority Mail with Delivery Confirmation through the United States Postal Service. Delivery may be expected within 5 to 10 days of shipping. * Delivery date is not guaranteed. 3 - An insulated shipping container will be used when shipping during warm months and when shipping to warm lands beyond the forest. An additional charge of $8.00 will be added to these orders. As our friends in such regions can confirm, this is necessary to ensure your parcel's safe arrival. Note: We do not ship to P.O. Boxes. Please provide a physical address. 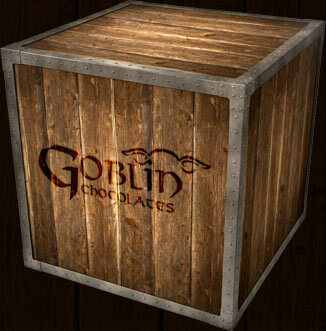 For further information regarding shipping policies please e-mail thegoblin@goblinchocolates.com. 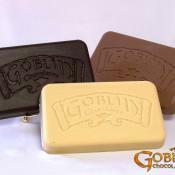 4 - The magic of winter reaches out from the realm of the Goblin November 1st thru March 31st, eliminating the need of insulated containers and gel packs, ultimately saving you $8.00 in any of the following States - CT, DE, IA, ID, IL, IN, KY, MA, ME, MD, MI, MN, MT, ND, NE, NH, NJ, NY, OH, RI, SD, PA, VA, VT, WI, WV, WY. we are not responsible for packages left to extremes in temperature after delivery. 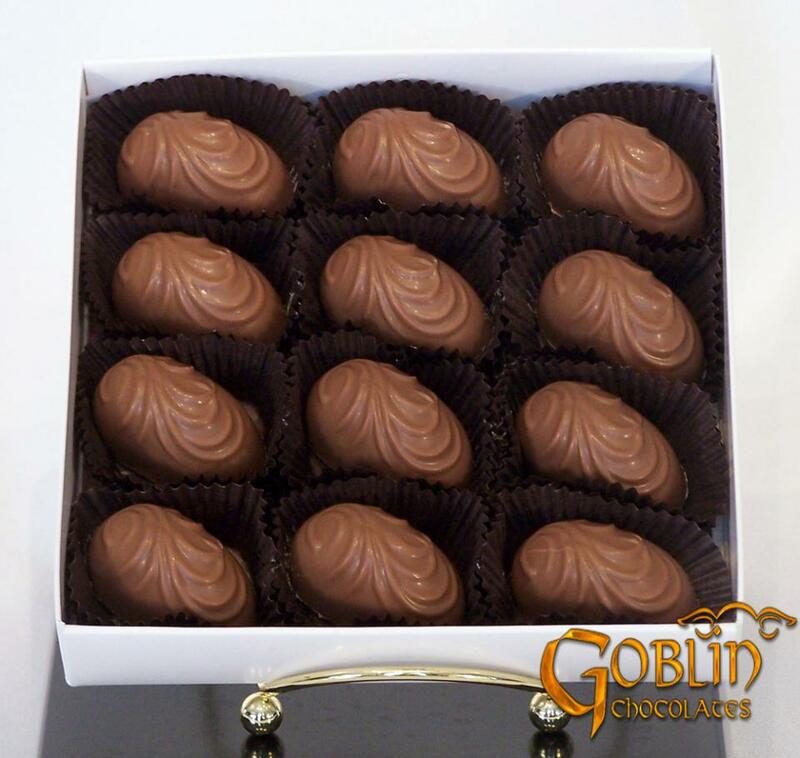 It is whispered that a goblin went in search of the finest thing in life – CHOCOLATE! His journey led him to Elk County where he settled to create confections beyond compare. 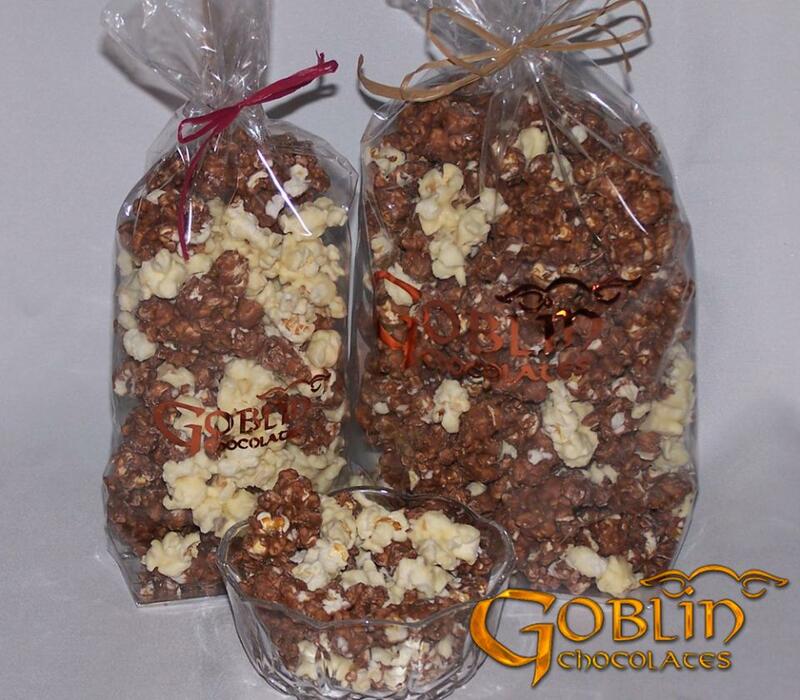 The Goblin worked and worked to perfect his recipes and is now eager to share them with the world. 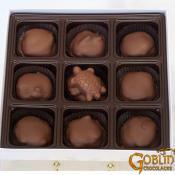 You can order Goblin Chocolates on-line or by phone at (814) 781-1945. 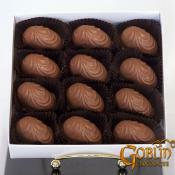 Your chocolate may encounter perils in your home as well. 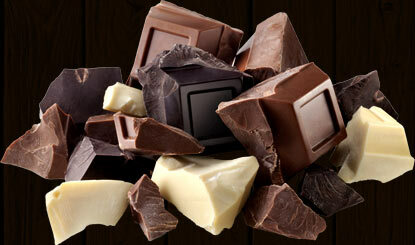 Chocolate has the tendency to absorb odors (for example from scented candles and strong foods). 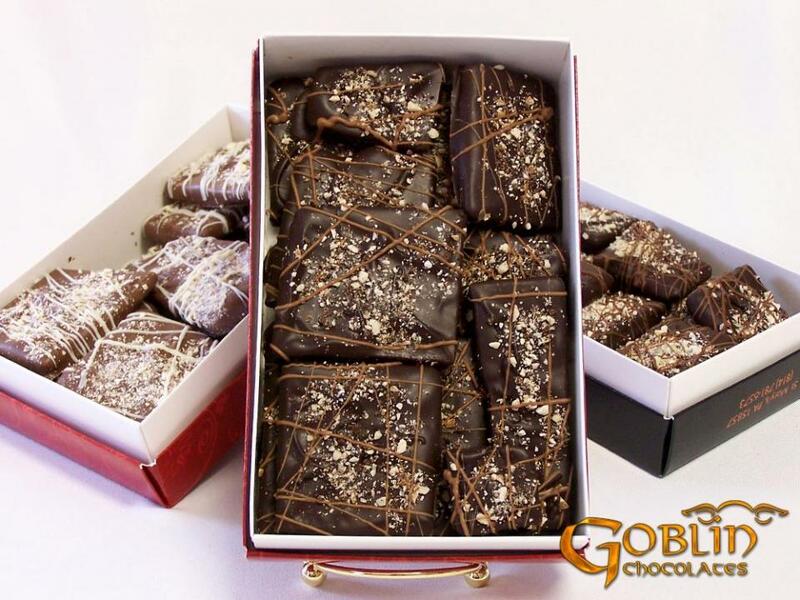 Therefore, we recommend that you store your chocolate in an airtight container. 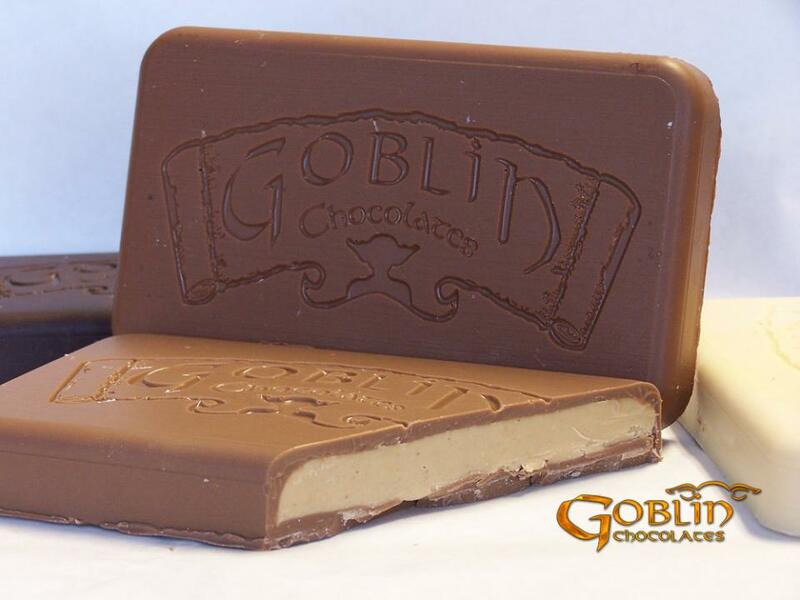 Much like the Goblin himself, chocolate is sensitive to light and extreme temperatures. 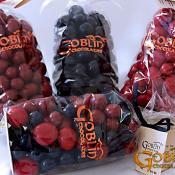 The Goblin recommends that his creations be enjoyed at room temperature to fully savor their taste and texture. 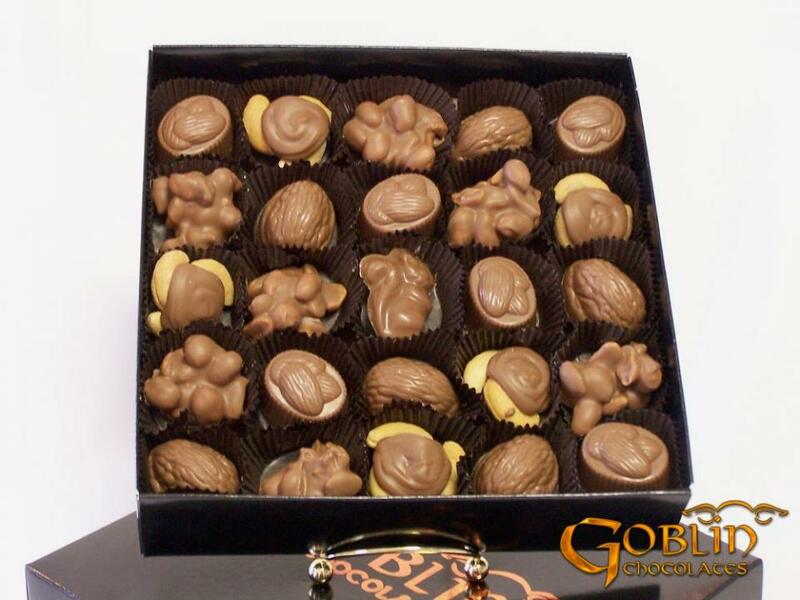 All of our chocolatey confections are manufactured in a facility that processes peanuts, tree nuts, dairy, wheat, milk, eggs, and soybeans. 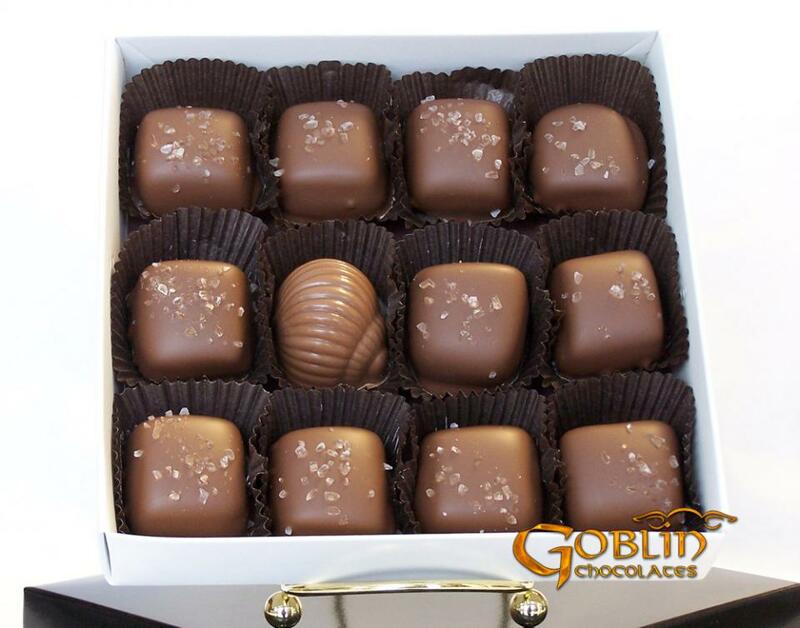 Our ingredients may vary on our chocolates depending on our confection methods. 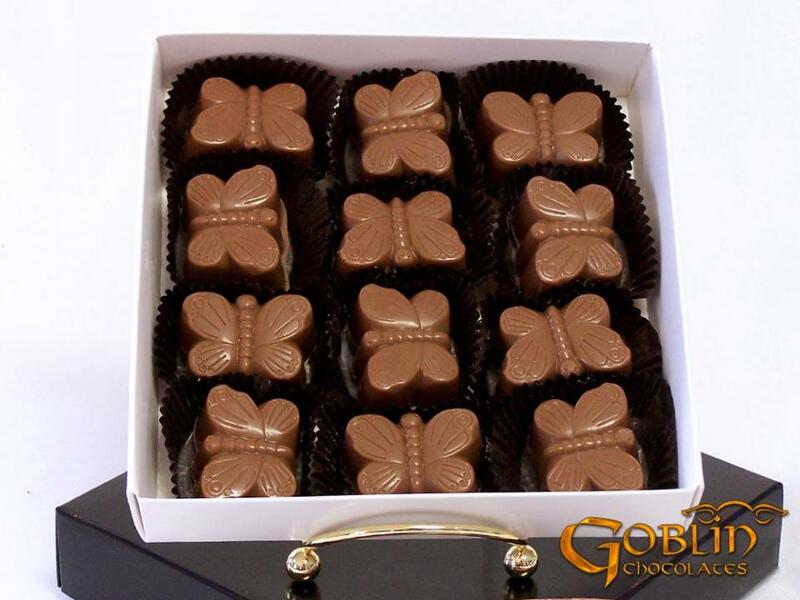 Our confections are hand crafted by our chocolate artisans with attention to every detail. Our products are made in small batches to ensure freshness and hand packed to maintain our quality standards. When purchasing, we request your email address. This allows the goblin to contact you if unusual weather conditions may affect your order. The Goblin is by nature a solitary creature. 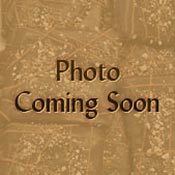 He is not in contact with companies that share or sell customer information, and we guarantee that you will only be contacted if we have questions regarding your order. 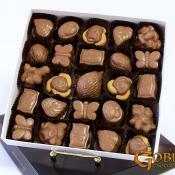 As you can see, we safeguard your chocolates by controlling all possible variables along their journey to you. 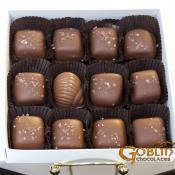 Should Goblin Chocolates reach you in an unsatisfactory condition, we will happily replace the damaged product. Internet Explorer: Click the Tools button, point to Print, and then click Page setup. Under Paper Options, check the Print Background Colors and Images checkbox, and then click OK.
Firefox: Click the Firefox button point to Print, and then click Page setup. Or Click the tools menu button, and then click Page setup. Under Options, check the Print Background (colors and images) checkbox, and then click OK.